KTM Architect is a full-service Architectural practice relocated in the Village of Port Chester, New York. Our firm seeks to provide homeowners and commercial clients with a complete menu of Architectural Services to conceive, develop and execute creative design solutions for their project. Your home is likely to be the greatest single investment of your life. We want to work with you to make the design process an exciting opportunity to envision & unlock your home’s potential. 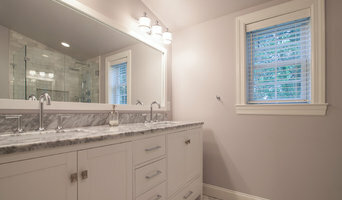 YAD combines over 30 years of experience in residential design and remodeling. 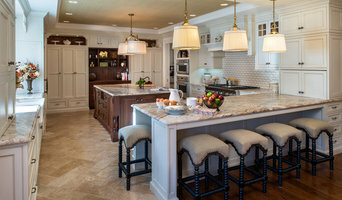 This includes large and small project experience in New York, Westchester, Manhattan and Connecticut many with award winning designs. Our services begin with the inception of an idea and include early strategic planning, site selection, design alternatives and value analysis that continue thru construction documents and site visits. Our responsive team is proud of the long-term client relationships we have built by maintaining involvement in every aspect of each project while creating environments that reflect the client’s needs and visions. YAD offers comprehensive skills in master planning, programming, design and construction generating structures with innovation and experience emphasizing design value for their clients as well as the communities in which they live. Principal, Maegan Walton, AIA, LEED AP, has been working in the field of Architecture since 2002 and spent a portion of her career at Elmslie Osler Architect in New York City before starting her own practice in 2012. Soglia Studios specializes in Zen Modern residential design with a focus on Green Construction. SOGLIA [soul-ee-ah] is an Italian word meaning "threshold". The threshold is a point between the past and the future, where one experiences a broad view of all possibilities. Similar to a threshold, where many experiences culminate, Soglia Studios brings together influences from various disciplines to create a holistic approach to designing space while specifying materials and practices that are environmentally responsible. Walton has a Bachelor of Design in Architecture from the University of Florida and a Master of Architecture from the University of Florida. While studying abroad in Vicenza, Italy, she became intrigued by the built works and landscapes of the dynamic culture and focused her thesis on creating thresholds, or glimpses back into country after returning home. The thesis exhibit was named Soglia Italiana, and the word "soglia" continued to be of interest long after the exhibit concluded. How do I find the best Port Chester architect for my home design project? It is best to hire a home architect who will be involved in all phases of the design process, from the initial concept to the completed construction. The architect is often the first person you will hire for your project. If necessary, they might also help you select and hire New York subcontractors, which can include the builders, engineers and landscaper. Interior architects are also involved in negotiating contracts for all involved participants. It is for these reasons that it is extremely important for you to have a good relationship with the Port Chester residential architect you hire. He or she can be the tie-breaking vote between you and the general contractor and can be your biggest advocate during the construction process. Different architecture firms in Port Chester, NY provide different services, so the scope of the work can span from pre-design environmental impact studies to selecting furniture and finishes, depending on what your specific needs are. It is very important to hire the right professional for the job. Remember that the most well-known or established designer might not provide the best architectural services for your needs. It all comes down to the individual project. Research and ask people whose work you like for recommendations. It's important to have somewhat of an idea of the style of house architecture that you prefer, as well as the amount you would like to spend. 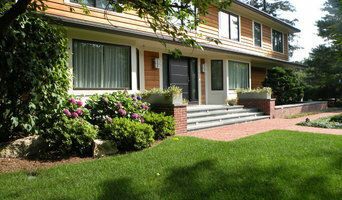 Residential architects in Port Chester, NY are natural problem solvers. They will assess the entire situation and help you to solve your problems too. Don't settle for a single company too early. Call and interview a few. Make sure that you feel like your personalities will mesh well and that you like their professional perspective. 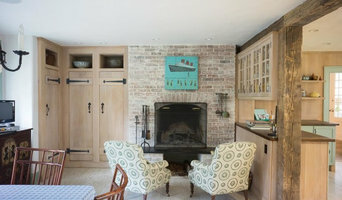 Find a home architect in Port Chester, NY on Houzz. Narrow your search in the Professionals section of the website to Port Chester architects. You may also look through photos of New York projects to find interior architects and building designers who have worked on a project similar to yours.